Kingdom Hearts III starts with a cold opening. 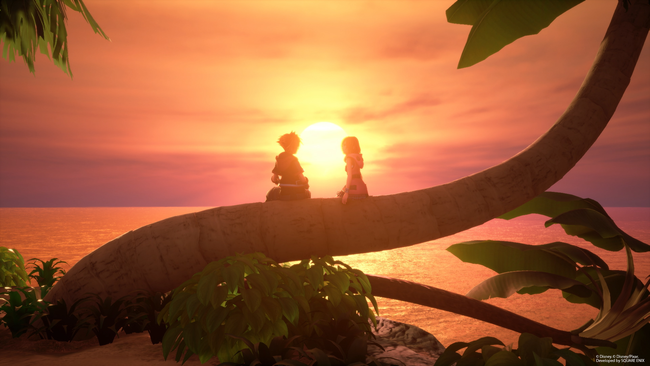 You’re immediately thrown into the game after the events of Kingdom Hearts 2.8 Final Chapter Prologue, and those that aren’t familiar with the series and everything that has taken place from the first title and everything in between until now might find themselves a little lost. Even if you have played previous titles in the series, you still might need a bit of a refresher. Outside of a beautifully rendered introduction FMV, which has become a standard for the series, you can peruse the Memory Archive to fill yourself in on the events of games you haven’t played if you’re returning to the series, or if you’re new to it entirely. As a result, the story is somewhat tonally inconsistent throughout as characters from previous games like Birth by Sleep or Chain of Memories make their return. 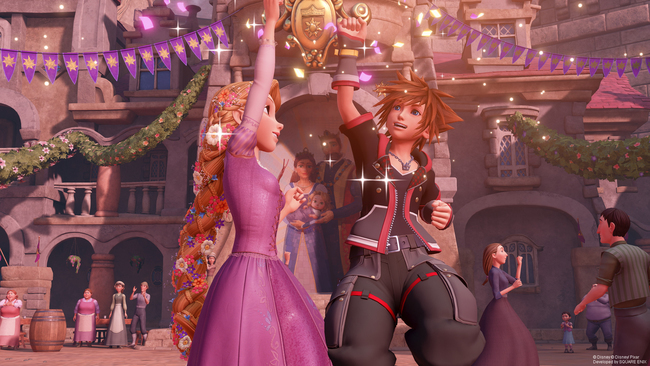 While these games were arguably more serious in tone, the balancing act of including these characters and weaving them into the more light-hearted story of Kingdom Hearts III is complicated. Sometimes the landing sticks, other times not so much as Kingdom Hearts flip-flops from whatever it wants to be within its own contained narrative to a light-hearted Disney romp. Speaking of which, when these characters do finally interact and the various plot threads finally intersect – but this doesn’t happen until the last few hours of the game. In many senses, the majority of the actual forward plot development in KH3 happens in its final hours. Kingdom Hearts III is the most impressive Kingdom Hearts game yet. It combines all of the best aspects of previous Kingdom Hearts titles to make for some truly fun gameplay. The combat system has been smoothed out and several new features have been added – mostly notably the Attraction system. 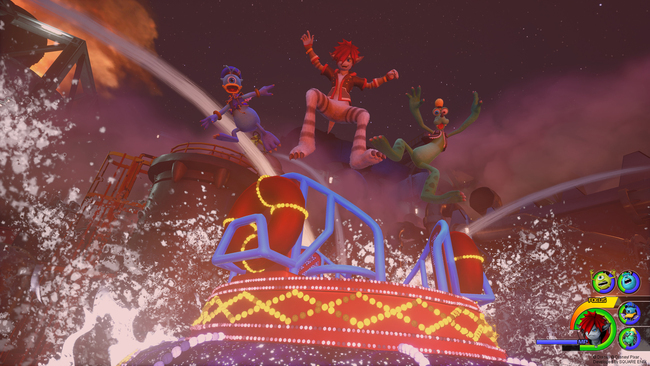 When executed properly, you can summon Disney attractions to deal heavy amounts of damage to enemies in something of a mini-game. These were great for clearing out waves of enemies or dealing with bosses. However outside of this new feature, normal combat did feel fairly stale by the end of the game as it was a rinse and repeat without any real depth. I did play the game on Standard and not Proud Mode, so this might be different for those playing on the hardest difficulty available. Some series staples such as the Coliseum don’t make a return, instead replaced by enumerated challenge fights called Battlegates that take their place. By completing these, you can acquire a series of Secret Reports that provide some forward-looking lore for the series in the form of some text excerpts from various characters, both known and unknown. However, this was something I didn’t spend much time with as I actually ended up sinking most of my extra time into new additions like helping Little Chef cook at his bistro or hang out with Pooh and friends in the Hundred Acre Wood collecting flowers and vegetables. Some of the new features and minigames are genuinely really fun and provide a nice break from some of the more monotonous moments of the game.